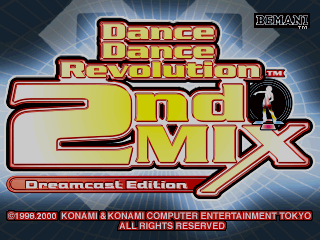 Dance Dance Revolution 2nd Mix Dreamcast Edition is an entry in the Dance Dance Revolution series of games. It was released for the Sega Dreamcast and is designed to be used with the Dreamcast Dance Dance Revolution Controller. Main article: Dance Dance Revolution 2nd Mix Dreamcast Edition/Magazine articles.